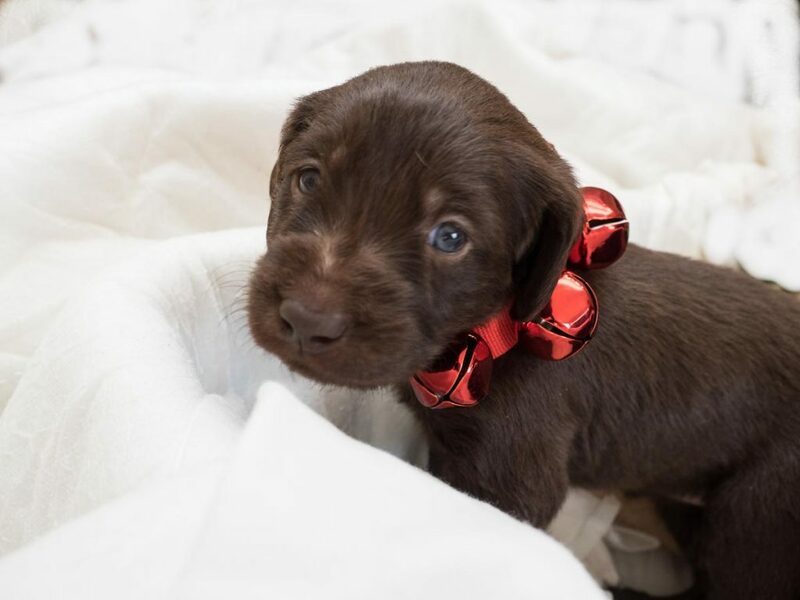 ST. GEORGE — Even on Christmas, the caregivers of orphaned kittens, support dogs in training, feathered friends and hooved companions work diligently to provide loving care to creatures great and small. 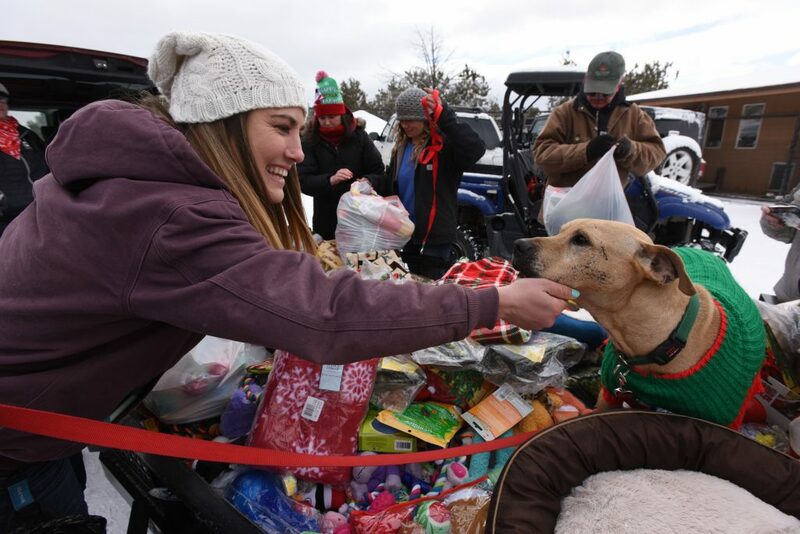 St. George News asked several Southern Utah-based animal charities how they and the animals they care for spend Christmas together. P.A.W.S. is a nonprofit animal rescue based in St. George. During the Christmas holiday, stockings are hung in the shelter above each animal’s kennel in anticipation of Santa Claus’ arrival. Reportedly, none of the animals were found to be naughty this year. 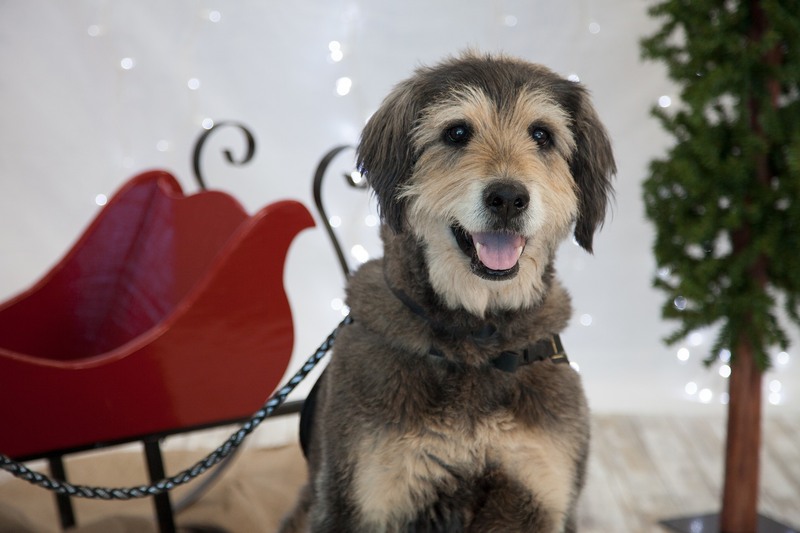 P.A.W.S.’ volunteer staff has been busy this holiday season getting adoptable dogs and cats into homes before Christmas. 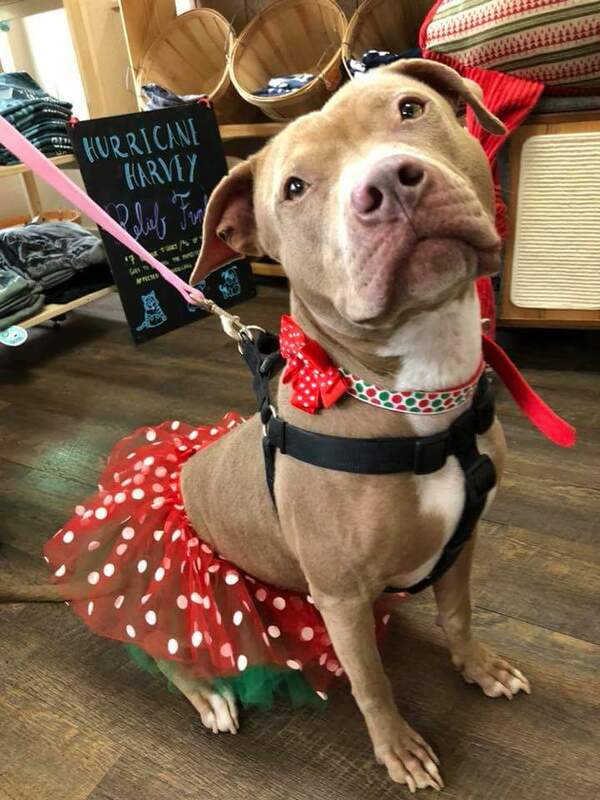 “We have been doing adoption events every weekend in December – we usually only do one or two a month,” Sabrina Todd, P.A.W.S. manager of fundraising and events, said. 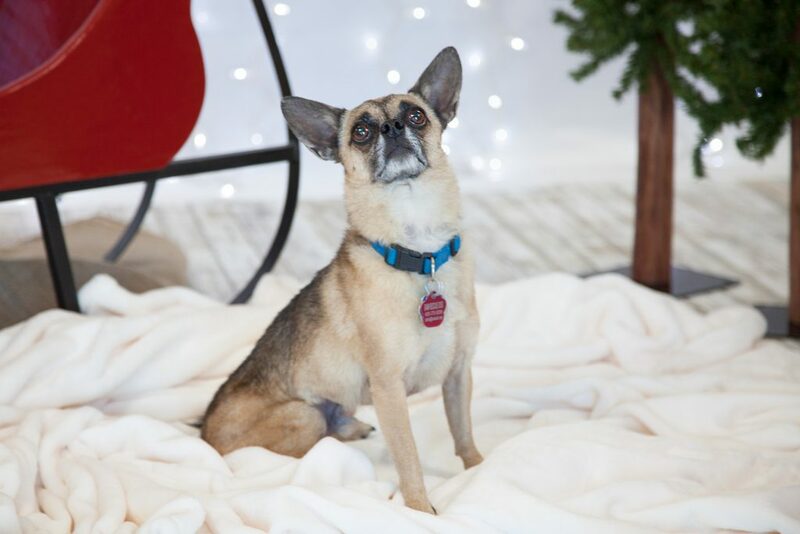 Several kitties and pups went to new homes during the adoption campaigns, but there are still some who have yet to find new two-legged parents. This will empty the shelter, meaning that in addition to the animals, no volunteers will have to report to the facility during the holiday. 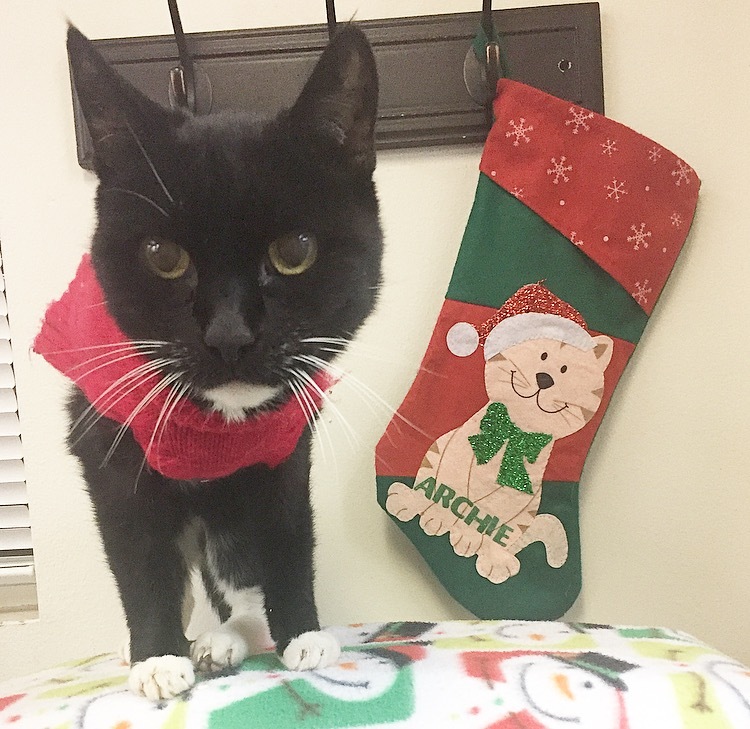 The sponsored animals will receive Christmas presents and stuffed stockings at their temporary homes, thanks in part to generous donations of bones, chew toys and treats made by customers at Lovin’ Arms Pet Center in St. George. 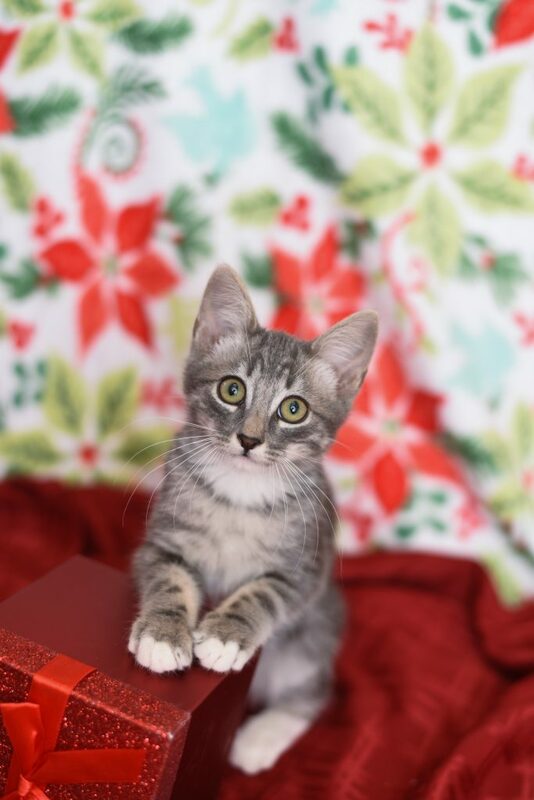 Pets available for adoption at P.A.W.S. can be visited at the rescue’s facility, 1125 W 1130 North, St. George, where low-cost spay and neuter programs are also available. Best Friends Animal Sanctuary is the country’s largest no-kill sanctuary. 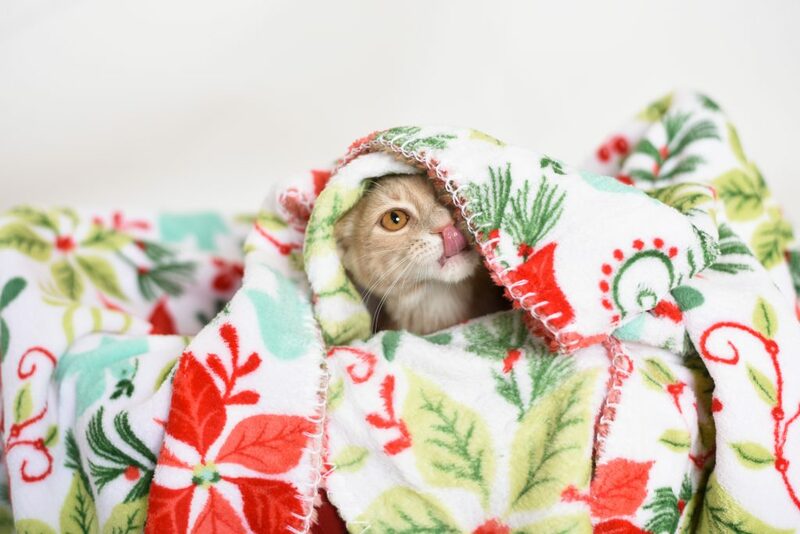 The Kanab-based nonprofit operates on a “Save Them All” slogan at a sprawling 3,000-plus acre sanctuary that houses all types of animals at the aptly named areas of Cat World, Dogtown, Bunny House, Parrot Garden and more. Christmas, just like any other day at the massive sanctuary, is bustling with activity as hundreds of caregivers and volunteers work to give the animals an extra special day. Cat World caregivers do an extra-quick morning cleaning then meet at sanctuary headquarters to sort through cat gifts, such as beds, food, catnip and treats. “The caregivers will line up at the doors and when the okay is given, it’s a free-for-all to grab as much stuff as possible for your building,” Cat World manager Jenn Corsun said. 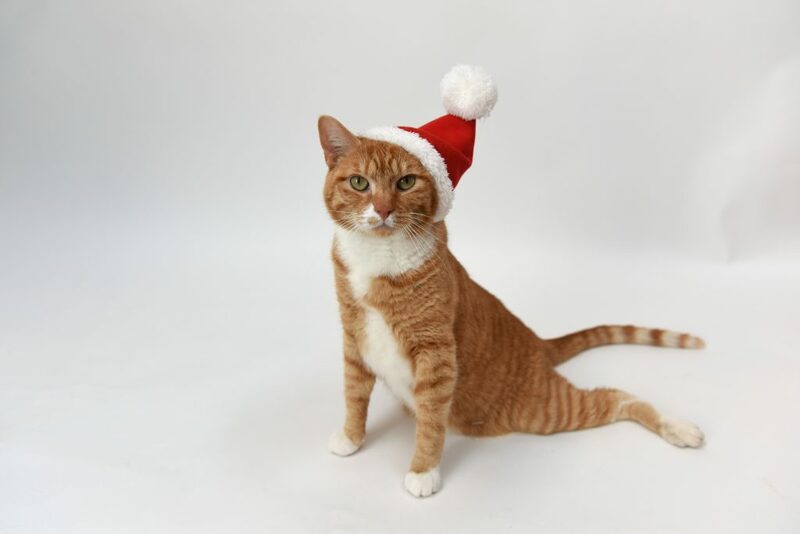 After the free-for-all gift grab, caregivers spend the rest of the day giving out the gifts to their furry feline friends and spend a little extra time playing and snuggling with the cats. 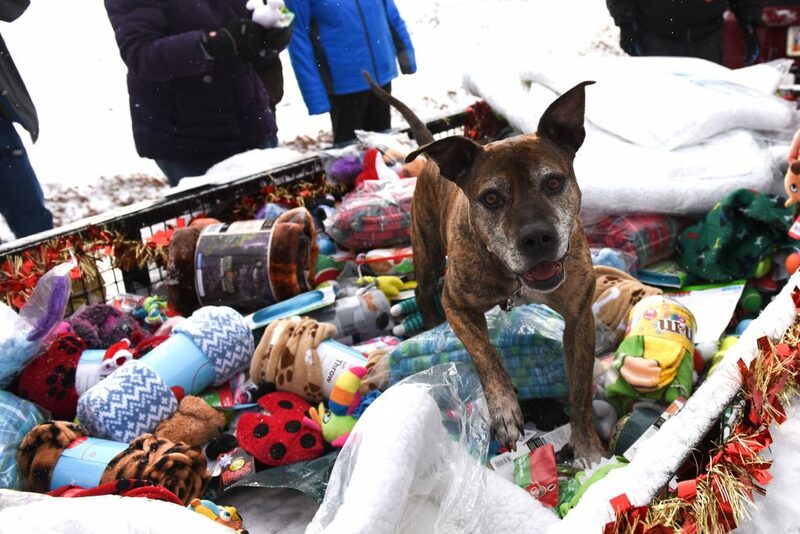 Dogtown’s version of Santa’s sleigh – a flatbed trailer – hauls a mountain of dog toys, treats, blankets and other goodies donated by Best Friends supporters around the facility Christmas morning. 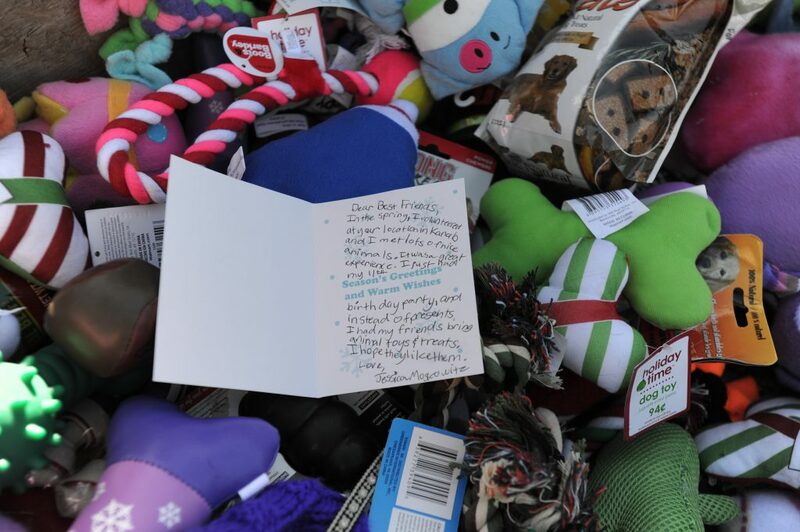 Caregivers fill up bags of gifts from the “sleigh” then invite a couple dogs to jump into a giant pile of toys and take first pick of the loot. “A lot of our staff are away from their families during Christmas so we want to make sure they feel celebrated and appreciated,” Tasch said, adding that Dogtown staff throw a big potluck dinner on Christmas. Volunteers at Bunny House spend the week before Christmas filling paper bags with dehydrated fruits and veggies, fresh veggies and hay to be given out to the animals Christmas morning. 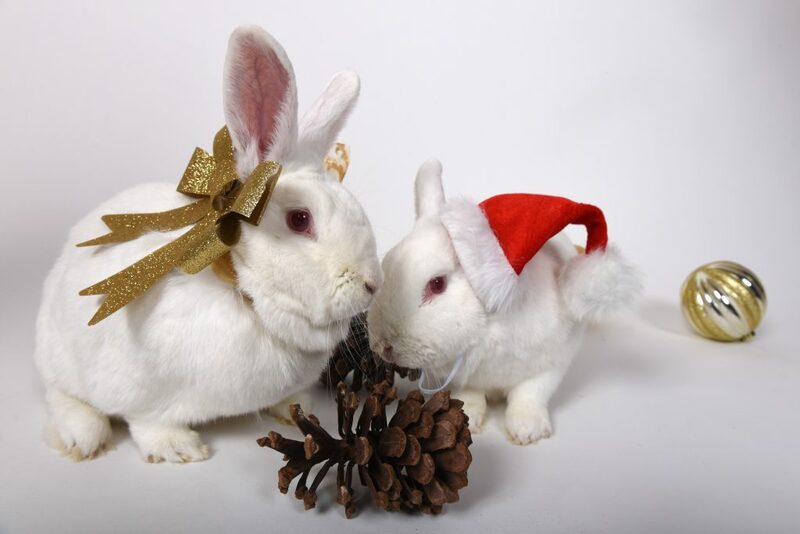 “The caregivers will be spending the afternoon giving out presents to the rabbits and guinea pigs and will be hosting a small potluck to celebrate a wonderful year in animal care,” said Melissa Krepfle, rabbit team lead. At the Parrot Garden, staff stockpile toys donated from people all around the world. “Right before Christmas volunteers help wrap the toys in brown paper and tie them with bird-friendly string. Each bird is given a new toy wrapped up, and they tear off the paper and play with the toy,” Lisa Englund, a veterinary technician, said. Hurricane-based BAM is an animal welfare organization that operates as a network of foster homes to assist pets in finding forever homes. The nonprofit organization also runs community programs focused on reducing animal abuse and neglect through education. 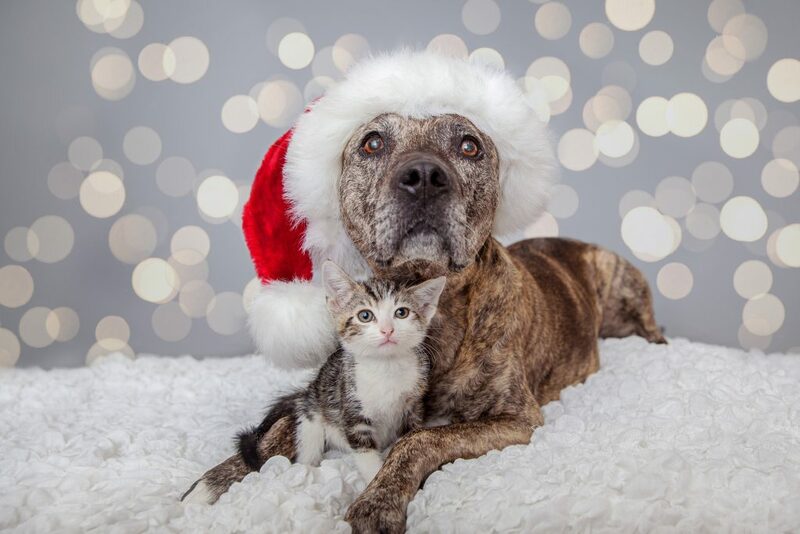 “Many of our adoptable pets spend the holidays in foster homes, waking up on Christmas morning with families who love them,” BAM President September Smith said. 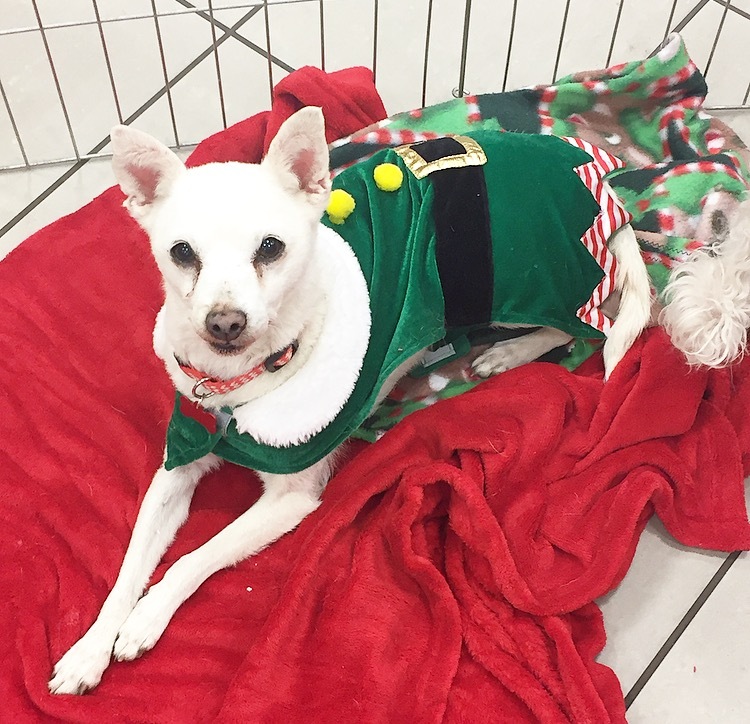 One volunteer in particular, Sue Sekerka, has dedicated countless hours to the pets at the center – even on holidays like Christmas. BAM is in the process moving its adoption center to 16 W. State St. in Hurricane with a new thrift store set to open soon, also in Hurricane. The organization is growing and in need of volunteers. Loving Angel is a nonprofit based in St. George that trains and places service dogs for children and adults with disabilities. The massive effort of raising and training as many as eight puppies at a time is made possible by many dedicated volunteers. Cathy Powell and her husband, Hoagan, give their volunteers the day off and perform all the dog-raising duties themselves – from poop-scooping to grooming. The Powells reward the parents of the service-dogs-to-be with a special raw bone Christmas morning. Momma dog Lucy has been especially busy this holiday season nursing her latest litter of puppies born in October. The Powells’ best Christmas memory was placing two dogs from a previous litter, Ginger and Katie, to new handlers just one week before Christmas. “It was a great Christmas present to them,” Cathy Powell said. Loving Angel is always looking for new volunteers to join in the joy of puppy-raising.